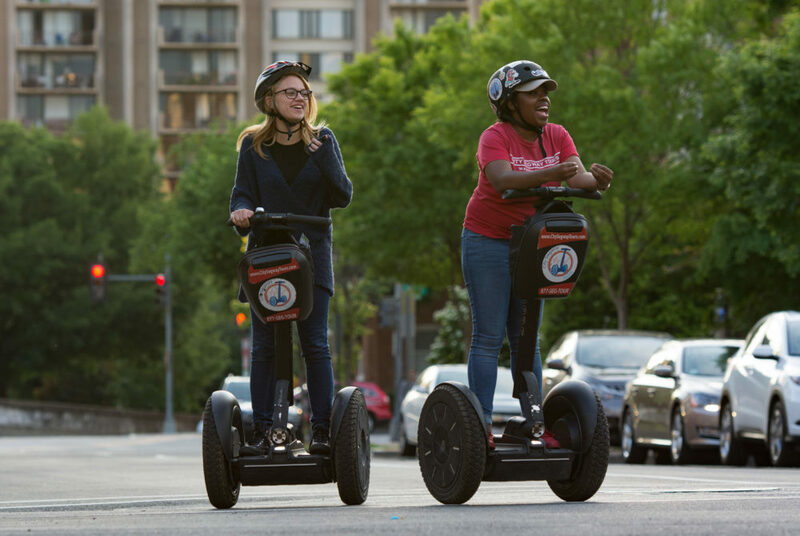 Ashley Morehouse (left) and City Segway tour guide Cynthia Hodge (right) ride down F Street. Nothing screams tourist quite like a Segway tour, but embrace the embarrassment when your family comes to town for the last time. Planes, trains and buses will bring family from across the country to the District for Commencement, and when they arrive they’ll expect an elaborate itinerary from their favorite D.C. local. After four years in Foggy Bottom, you’ve seen your fair share of typical D.C. sights, so we’ve compiled a list of activities to stick around for and some to skip out on so that you’re prepared to balance your time. 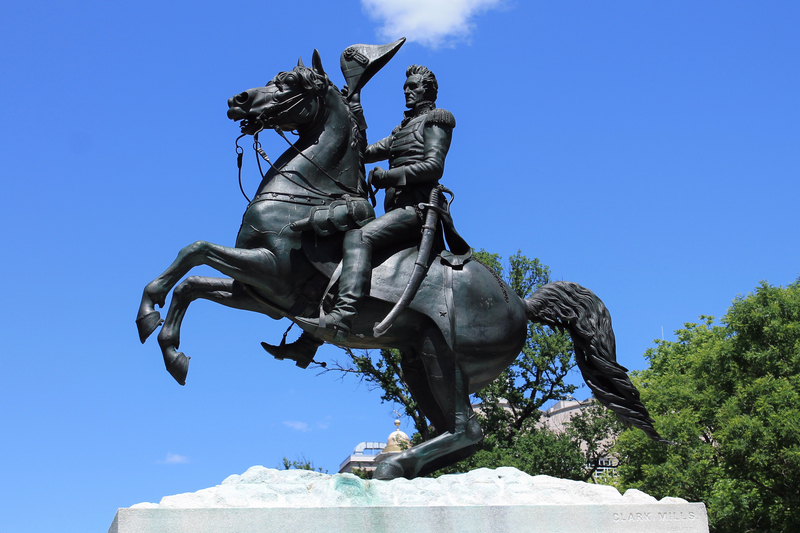 In Lafayette Square, a statue of Andrew Jackson can be seen near the White House. At this point, you’re probably an expert on quintessential D.C. history and classic landmarks. But just like District residents, the city has a lot of secrets. The Secrets and Scandals Walking Tour covers curses, murders, affairs and other juicy gossip involving familiar names in your American history textbook. Even with the basic history and geography of the area nailed down, you’ll learn some scandalous facts about White House affairs and conspiracy theories. Take this tour and you’ll see the city you’ve walked for four years in an entirely new light. Plus, your family will laugh out loud as the often hilarious tour guides reveal D.C.’s darkest secrets. Reservations required. Various times. Starts at the Andrew Jackson Statue in Lafayette Square. Cost is a donation of your choice. 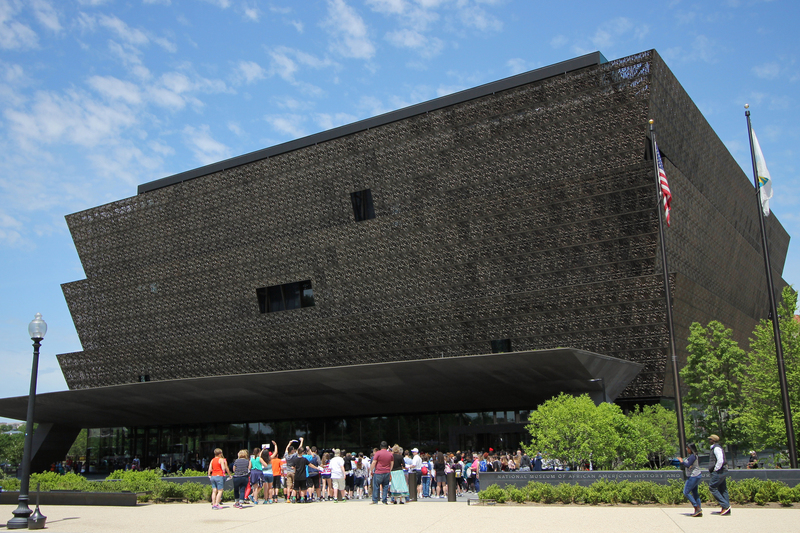 Grab the whole family and head over to the National Museum of African American History and Culture, the newest Smithsonian Institution, which opened last fall. You probably haven’t had a chance to visit the National Museum of African American History and Culture, the newest member of the Smithsonian Institution family that opened last fall. Take this opportunity to grab your family and enjoy it. The museum’s 37,000 artifacts, photographs and other historical documents will keep the family busy for hours. They will feel like District VIPs as they explore the D.C. museum that has people lining up each morning to score passes. You’ll get to show off how much of a local you’ve become by getting them the coveted same-day passes online or by walking up after 1 p.m. on weekdays. 1400 Constitution Ave., NW. Free. Although you’ve probably made fun of the tourists passing by Thurston Hall on Segways before — don’t knock it until you’ve tried it. Nothing screams tourist quite like a Segway tour, but embrace the embarrassment – and the helmets – when your family comes to town for the last time. Instead of having to walk around the monuments again, roll past them at roughly 10 mph. You’ll glide past sights like the Lincoln Memorial and Smithsonian Castle, and best of all, the tour guide can take over the burden of pointing out cool sights to your family. Relax, enjoy the ride and pray you don’t pass anyone you know. City Segway Tour. 502 23rd St., NW. Various times; reservations available online. $75. 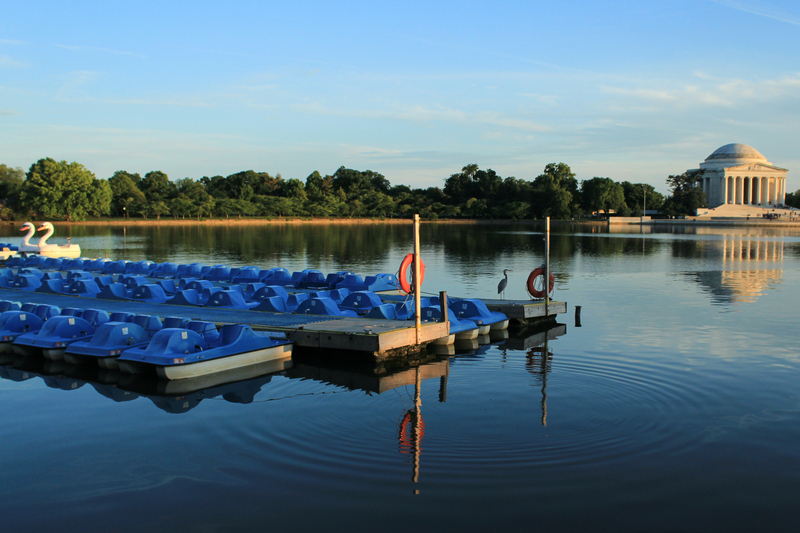 Send your family outdoors to rent paddle boats on the tidal basin. Part ways and send your family to the Tidal Basin, where they can leisurely soak in the view you’ve seen a million times. They can rent a swan or paddle boat while they enjoy the views of the water and the picturesque Thomas Jefferson Memorial. You’ve spent plenty of time here over the years showing off the views to friends who visit, so this is can be one activity you miss. Tidal Basin Paddle Boats. 1501 Maine Ave., SW. $18 per hour for a two-passenger boat. $30 per hour for a four-passenger boat. If you need your family time in small doses, send them along to the Washington National Cathedral for some history, architecture and views. With chapels, an abundance of stained-glass windows, towers and turrets, your family is sure to be occupied for the better half of an afternoon. Students have seen a lot of architecture, from the monuments to the Capitol Building, so you can skip this trip dedicated to sightseeing. Instead, tell your family to keep an eye out for the Darth Vader gargoyle, the Cathedral’s most popular sight. 3101 Wisconsin Ave., NW. Adults $12, youth and teachers with ID $8, children under 5 free. If your family has visited all of D.C.’s museums, send them to The National Aboretum for a new nature experience. If your family members are frequent visitors of the District, let them explore the exotic plant life on their own at The National Bonsai and Penjing Museum within the United States National Arboretum. The museum showcases one of the largest collections of the miniature Japanese trees in North America, making it different from the sights your family may have seen at the United States Botanic Garden. Rhododendrons, azaleas and dogwoods are among the plants blossoming this time of year. 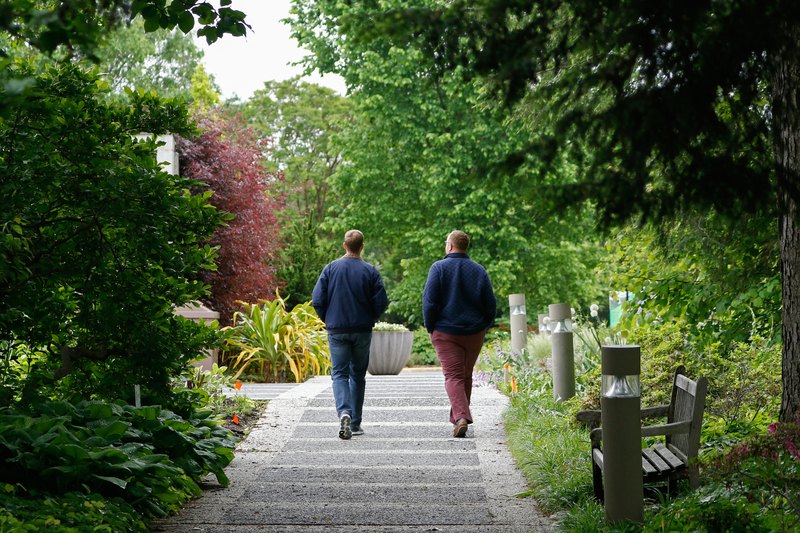 The arboretum has something for all age groups, and is especially perfect if someone in your family loves gardening. But let’s face it, your precious final undergraduate moments are better spent with friends on campus than looking at trees. 3501 New York Ave., NE. Free.